BAKU, (DNA) – Japan is interested in using the Trans-Eurasian Transport Corridor in the framework of the One Belt One Road (OBOR) project for the development of trade with Azerbaijan.Japanese Ambassador to Azerbaijan Teruyuki Katori told that the use of this transport corridor can significantly reduce the time of transportation of goods from Japan and will contribute to the further development of trade and economic relations between the countries. “For example, Japanese cars are very popular in Azerbaijan. They are currently being supplied to the country through Georgia, where, in turn, they are transported through the Black Sea. This route takes up to three weeks. The Trans-Eurasian route can shorten the travel time by up to 10 days,” the ambassador noted. Katori went on to say that although not all of the proposed transport corridor options for the OBOR project pass directly through Azerbaijan, the country can, nevertheless, easily integrate with them through the North-South project and the Baku-Tbilisi-Kars (BTK) railway. Further, touching upon the development of relations, the ambassador reminded that the decision taken by Japan back in September to simplify the visa regime with Azerbaijan would make a significant contribution to strengthening cooperation. OBOR is a development strategy, proposed by Xi Jinping in 2013 that focuses on connectivity and cooperation among countries primarily between the People’s Republic of China and the rest of Eurasia, which consists of two main components, the land-based Silk Road Economic Belt and oceangoing Maritime Silk Road. Diplomatic relations between Azerbaijan and Japan were established in 1992. A number of important projects are being implemented in Azerbaijan through the financial support of Japan, while very important infrastructure projects had already been commissioned in the country through Japanese government’s loans. Japan was one of the first countries to support Azerbaijan’s forward-looking oil strategy. Today two major Japanese companies Itochu and Impex are involved in the Contract of the Century [signed on September 20, 1994 in Baku, a large-scale international contract on the joint development of three oil fields – Azeri, Chirag, Gunashli in the Azerbaijani Sector of the Caspian Sea]. Moreover, the Japan International Cooperation Agency (JICA) has financed four loan projects in the country in the amount of $900 million in the sectors of energy, water supply and sewerage, since the beginning of its cooperation with Azerbaijan. 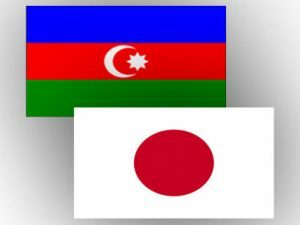 Trade turnover between Azerbaijan and Japan in January-July amounted to $148.5 million, most of which accounted for import of Japanese products, according to Azerbaijan’s State Customs Committee.